The Commonwealth Parliament (under Cromwell) passed an Act in 1651 authorising the construction of the Wey Navigation from Guildford to the Thames at Weybridge. Sir Richard Weston of Sutton Place, conceived of the plan to open a navigation allowing boats to ply between Guildford and London. But he had supported the Monarchy during the Civil war and was out of favour. He got the Borough of Guildford, James Pitson (an officer in Cromwell’s army) and Richard Scotcher to promote the Act. They believed that it would bring prosperity to Guildford after the decline of the cloth industry. The Wey Navigation was a major engineering project. 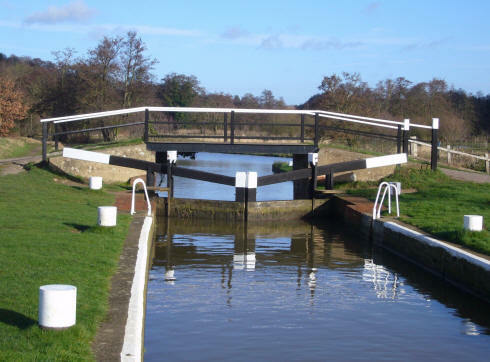 Two hundred men dug 9 miles of canal and built twelve locks and 20 bridges, all in two years and at a cost of £16,000. The Navigation opened in 1653, just after Sir Richard’s death. The Restoration of the Monarchy in 1660 allowed many Royalist landowners to return to their estates, only to find a canal running through it. This led to a major dispute over ownership of the Navigation. It was settled by agreeing that the Navigation would pay the landowners for every ton of cargo carried through their land. The Borough of Guildford charged a penny a ton. This was known as the River Pence and was levied up to 1963. In 1764 the Navigation was extended to Godalming. 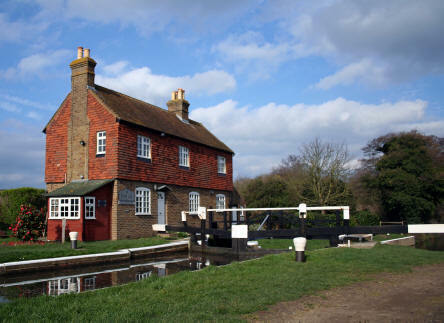 In1816 the Wey & Arun Junction canal opened creating a through route from London to the South Coast. 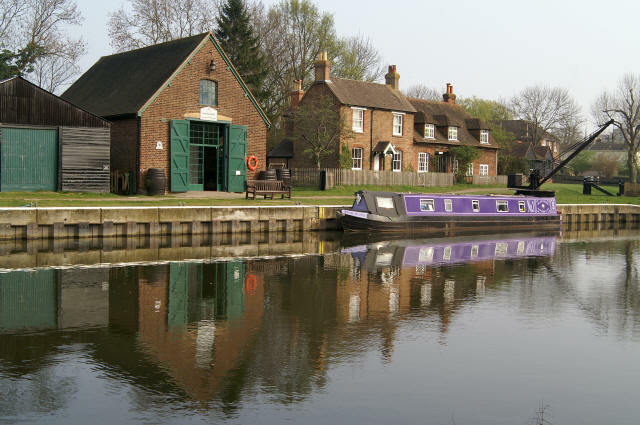 Barges were built at Dapdune Wharf in Guildford. 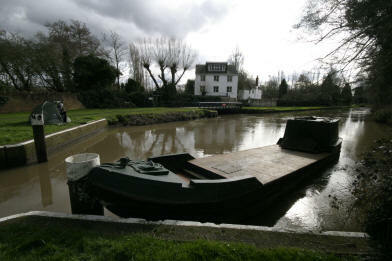 Initially the barges were small and carried around 35 tons, but later this increased 90 tons. One of the later barges “The Reliance” can be seen in the dry dock at the Dapdune visitor centre. The Stevens’ family, trading as Stevens & Sons, were the dominant river carriers on the river later in the Navigations' history, and they were instrumental in keeping the navigation open. The family were the last owners of the Wey Navigation until Harry Stevens, gave the canal to the National Trust in 1964.